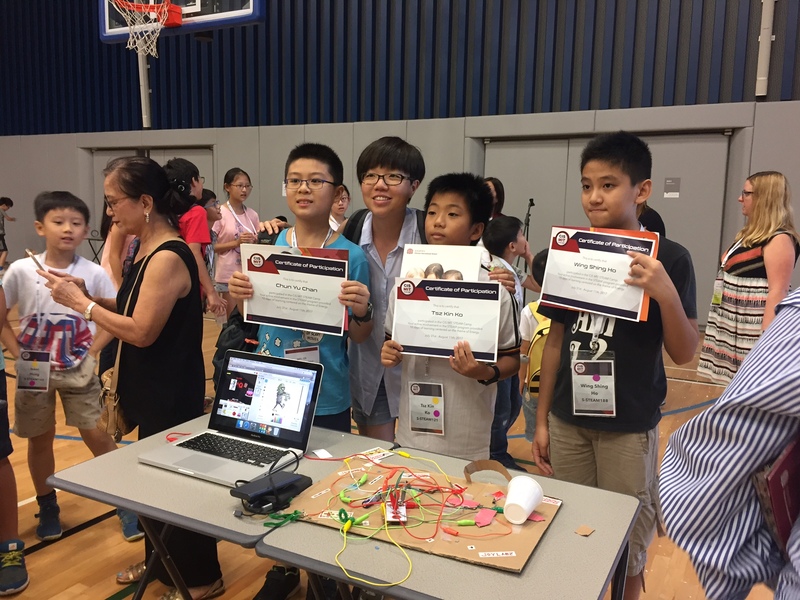 This past August, the pK-12 Action Group coordinated and completed its first MIT STEAM Camp. 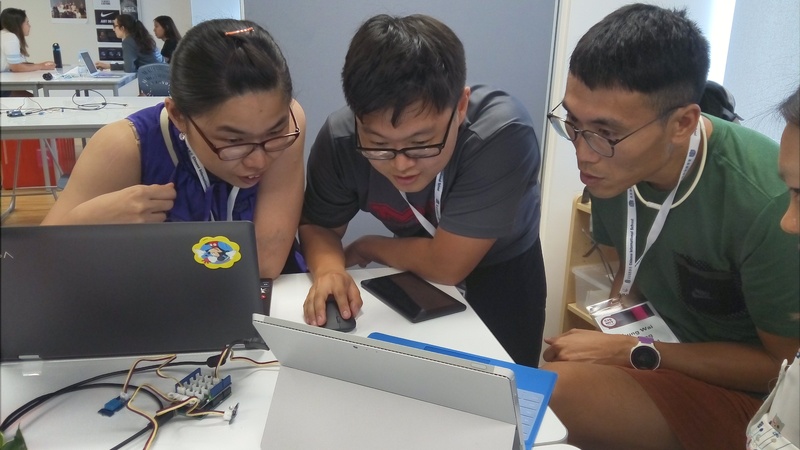 With a goal to bring MIT’s Mens et Manus approach to learning to Hong Kong, the inaugural crew worked with approximately 200 middle-school aged students and 25 teachers from all around the area. Participants engaged in hands-on activities around the theme of “Energy” and explored the use of digital technologies and tools that promote creativity, invention and collaboration. 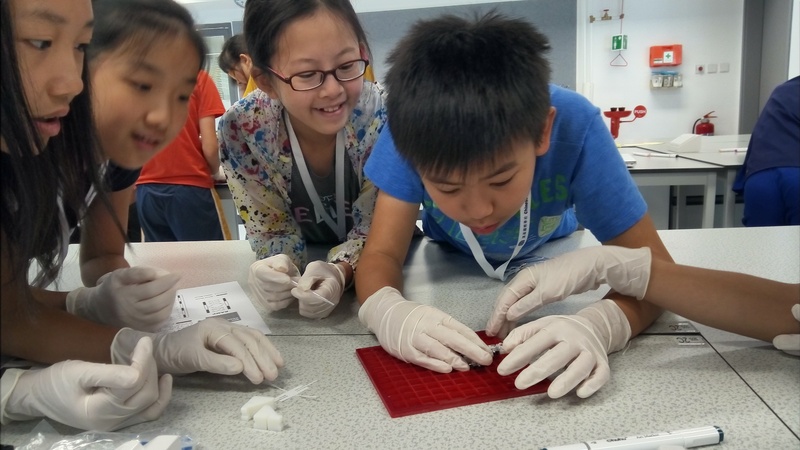 Taking place at the Chinese International School (CIS) in the Causeway Bay region of Hong Kong, the program’s two-week run encouraged campers to learn by doing and then to create something new of their own. During their first week together, the students learned about energy and how its transfer between multiple forms is vital to making the world function. Looking at this principle through a few different lenses, the campers completed activities that included building infrared light-detecting circuits, producing biofuels, making wind turbines, using App Inventor and Arduinos to understand the Internet of Things, coding with Scratch and Makey Makeys, and even learning how food gives people the energy to move! These modules were developed by the MIT community specifically for the MIT STEAM Camp, and while most came from professors and labs, a few were created by current MIT undergrads interested in improving education. Another large focus of the program was to expose the participants to design-based learning principles, including the understanding that failure is an essential part of the learning process. To do this, students were asked to think of ways that they could share what they had learned about energy with their communities and families. After forming groups around their ideas, students were tasked with designing, building, and presenting their projects. During this time, they were also granted access to CIS’ maker spaces and provided with raw materials and mentored by the MIT staff. With lots of trial and error, over 35 projects sprouted up and were assembled over the course of the second week. Culminating in an Open House, the camp ended with parents, teachers and families strolling through the gymnasium to survey and learn about what their children had created. In addition to the students, 25 Hong Kong educators also participated in the camp. They jumped right in with the kids as students themselves in order to learn and experience the activities that they could then bring back to their own classrooms. Professional development sections to learn how to implement the activities into their own lessons also took place both the weekend before the camp started and in the afternoons after the students had gone home. Teachers were also tasked with creating their own projects and ended up repurposing some of the materials to build a smart house and solar-powered car! The modules from the MIT STEAM Camp are licensed under Creative Commons and are free to be used and/or remixed. If you’re interested in the modules that were offered and would like to access their documentation to use in your own classroom or program, please visit https://pk12.mit.edu. We’d love to hear about how they can work for you!